We are happy to announce that we been selected to be included in the Savvy Client's Guide to Translation Agencies. There are 44 agencies included and not every agency that applied made it in. 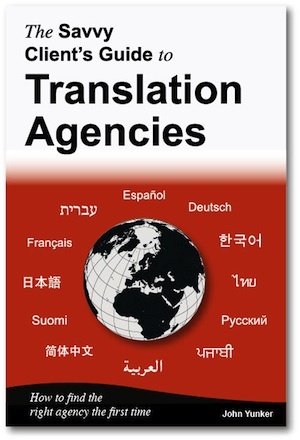 This book includes a wide mix of large and small agencies (as well as geographies and industry specialties). No agency paid to be included. This book will be sold here http://bytelevel.com/reports/savvy/ and on Amazon.com at a reasonable price. The book is aimed at buyers who are new to the industry and need help knowing what questions to ask and where to begin.